We first heard about Eaten Alive on an Olive Magazine podcast (highly recommended, if you’re a foodie like us). It was the name that really grabbed us – but with our understanding that gut health is so intrinsic to overall body health (and reflected in skin wellbeing), we thought we’d check it out. There are four kimchis, for now: Mild (it still has a wonderfully complex flavour; Golden – with preserved and fresh lemon (our new favourite); White Cabbage – boy, is this crunchy, with daikon and apple alongside the white cabbage, and last but not least, Spicy (the hot one, but also their bestseller). 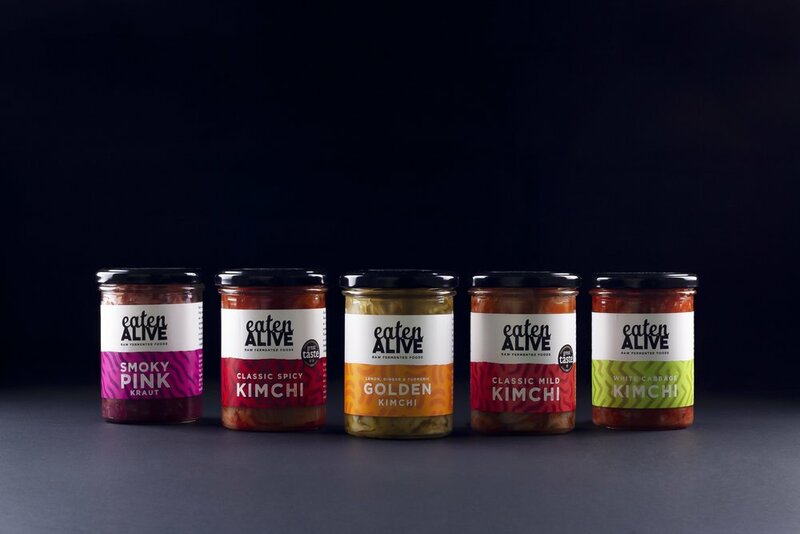 Eaten Alive also make some great sauerkraut products, which are equally gut-frendly, as well as live fermented hot sauces (which have become a hit in Jo’s house). You can read all about the fermentation process here. This brand is run by some very enthusiastic, get-up-and-go former chefs in South London, where they clearly have a lot of fun as well as working super-hard. We’ve a gut feeling they’re going to do rather well.